Boston Bomber Wears Same Hat With Different Numbers In the Same Day?? Photoshop Error?? BOSTON BOMBER, Hometown, Mosque & Mother IN A FILM Months Before Bombing?? Fire has engulfed the main mosque in a town in the southern Russian republic of Dagestan, home to Russia’s largest population of Muslims. AP (h/t Cathari5) Police spokeswoman Fatina Ubaidatova says no one was hurt when the fire swept through the mosque in Kizlyar, located near the border with Chechnya. Fire investigators were still trying to determine the cause of Friday’s blaze, which broke out after morning prayers. 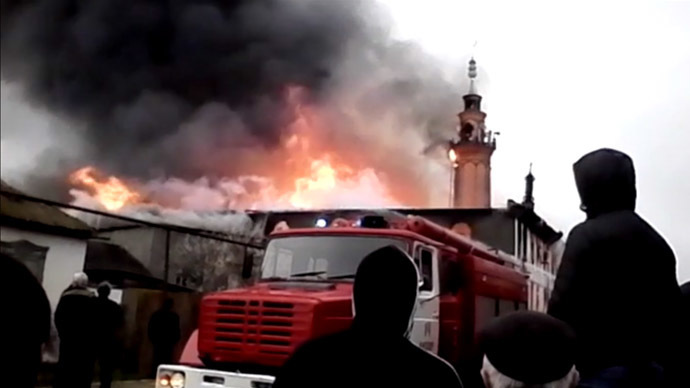 There were no indications that the fire was connected to the Islamic insurgency that spread through Russia’s predominantly Muslim North Caucasus region after two separatist wars in Chechnya. 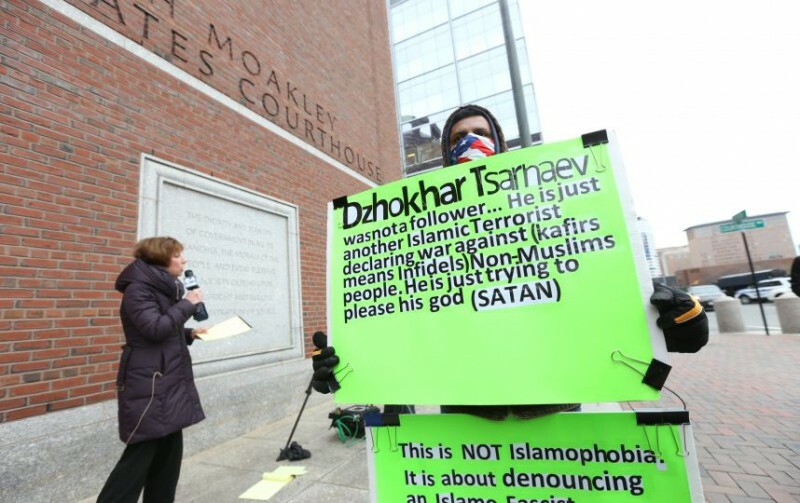 Muslim terrorist Dzhokhar Tsarnaev was found guilty of all 30 counts against him for his involvement in the Boston Marathon bombing. 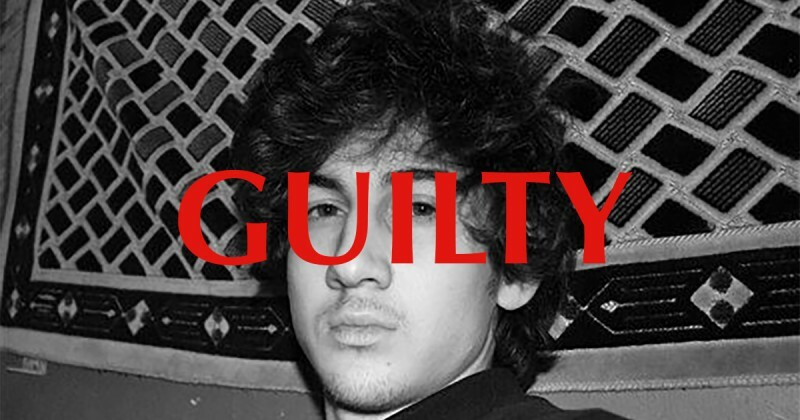 Seventeen of the counts against Tsarnaev, including use of a weapon of mass destruction, qualify him for the death penalty. CNBC As the court’s clerk read out each conviction, the courtroom was silent. Experts widely predicted that Tsarnaev would be found guilty on most, if not all, of the counts, but most agreed the real battle will be whether the defense can save him from the death penalty. He is represented be nationally renowned defense attorney Judy Clarke. The attack killed three people and injured 260, including at least 15 who ultimately lost limbs. A 26-year-old MIT officer was also later killed. Tsarnaev allegedly joined with his brother, Tamerlan Tsarnaev, to carry out the attack. Tamerlan was killed in a shootout with police after the attack. Tsarnaev faced a total of 30 counts in connection with the April 15, 2013, incident. Tsarnaev’s defense team acknowledged his role in the twin bombings, but argued he was a manipulated apprentice and should be spared the death penalty.